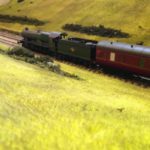 For most railway modellers, OO, HO gauge and N gauge offer everything they could want with locomotives and rolling stock to cater for just about every taste. 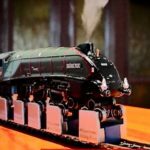 From modern intercity and suburban EMU’s trains to the ever popular steam era with the giants such the Flying Scotsman and Mallard to the smaller but more charming tank engines, there are models to match. Notice I say most modellers, however. 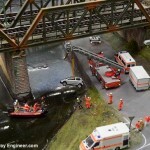 There is one sort of railway that OO, HO and N gauge don’t cater to. I am, of course, talking about narrow gauge railways. 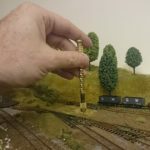 What are narrow gauge railways? 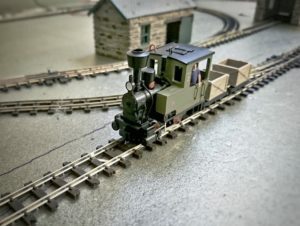 These were diminutive railways that operated in mountainous regions or the confined spaces of industrial areas where it would have been too expensive to build bigger ‘standard’ gauge railways. Occasionally, they could also be found in small rural communities where low passengers numbers again didn’t justify a “proper” railway. Instead, railway builders opted for railways with a narrow track and smaller locomotives that didn’t cost so much. And these little railways are a delight to model. The engines were often unique, there’s something charming about little locomotives trundling around on even smaller track, and the settings they operated in was invariably picturesque. They were particularly common in North Wales, Ffestiniog, Welsh Highland, Llanfair being the some of the of better known, but could be found tucked away across the UK. Unlike EM gauge which I’ve mentioned before, 009 isn’t a more accurate representation of Standard gauge but a scaled down version of narrow gauge railways. The track is actually N gauge is width — 9mm between the rails — while the locomotives are roughly OO scale (4mm to the ft). So locos, buildings, the scenery are to 4 mm scale with the track at 9 mm (0.354 in) and when combined are given the name 009 in the UK, sometimes 00-9. (In mainland Europe, narrow gauge railways are similarly created using 9mm track gauge but with HO scale trains where it’s called HOe. In the US, it’s HOn30 or HOn2 1⁄2. These combinations of narrow track gauge and larger scale produce a good representation of narrow gauge railway sizing. It is possible to use standard N gauge track, from Peco etc, to create an 009 layout however while the track width is correct the sleeper size and spacing isn’t right. It will work but won’t look great. For this reason, Peco also produces 009 specific track. This is the same gauge as N (9mm) but with more authentic sleepers that have wider spacing and larger sleepers, especially in the case of Peco SL-400 which has a worn and battered look compared to more “maintained” SL-404 track. 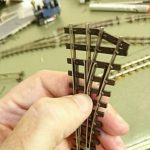 >Improve standard N gauge track now by adjusting the position of the sleepers. An HOe locomotive running on Peco 009 track. Of course, using N gauge track with 4mm scale models means OO gauge rolling stock won’t work or like right on 009 and N gauge stock looks too small. Sadly, there aren’t many ready to run (eg off the shelf) locomotives, wagons and passenger coaches. Fourdees and Bachmann Branchline offer ready to run 009 locomotives and, Heljan has also announced several 009 locomotives. Peco meanwhile makes a range of wagons and coaches and many of the loco kit sellers below also sell wagon kits. What makes 009 appealing to many modellers is making their own rolling stock. This sounds harder than it is. The body is assembled from kits and into which prebuilt chassis units, with motors, from Kato and others can be fitted (with minor modification). Personally, if you’re just starting I’d avoid the metal kits and stick plastic style kits (Narrow Planet, CW Railways etc). I also recommend joining the 009 society for its regular newsletter. Update: You can also run HOe trains. While the they are slightly smaller than they should be they are closely enough for many of us and there’s a lot more rolling stock available ready-to-run with Roco and Minitrains both doing reasonable range of locomotives, wagons and passenger cars. So that’s what 009 is, but what I haven’t mentioned is that 009 is an ideal layout for model railways. Through using 9mm gauge track with 4mm (OO scale) models means you can pack a lot of track into a small space that wouldn’t otherwise be possible yet the models are larger than N gauge. It’s also a nice way of exploring more intricate aspects of model making. 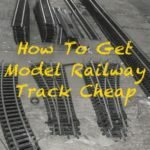 If you’ve built model railways in N, OO and HO using off-the-shelf track and trains and want to do something more creative and learn along the way; making rolling stock with the kits available isn’t too difficult but very rewarding. 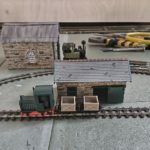 You can also incorporate 009 into an existing OO, EM or HO layout, having a small narrow gauge railway servicing an industrial area to add variation. 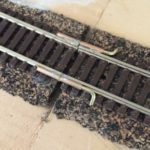 If you’re feeling up to it, Tillig also do a range of dual HO/009 gauge track for narrow gauge and standard gauge can cross over and run along the same sections of track. In summary, I find 009 has all the advantages of 4mm (OO layouts) and 9mm gauge (N) layouts while also being challenging and rewarding than both. I’m incorporating a small 009 railway on my 4mm (OO/EM gauge) layout operating around sewage works. How about you? Do you, or are you planning to, use 009 for a layout?